Anytime I fall in love with a piece, I spend time in my closet coming up with new ways to style it. This houndstooth skirt I found at Reformation Vintage had me playing dress up for hours. This skirt is both comfortable and structured, making it perfect for both day and night looks. 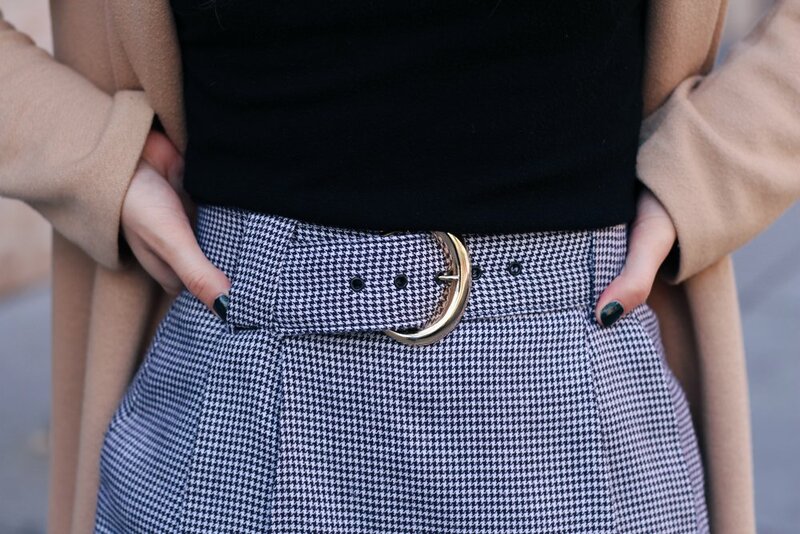 I experimented with pairing it with patterns, graphics, and even faux fur, but ultimately, my favorite way to style this skirt was to let it take the limelight by pairing it with understated pieces. 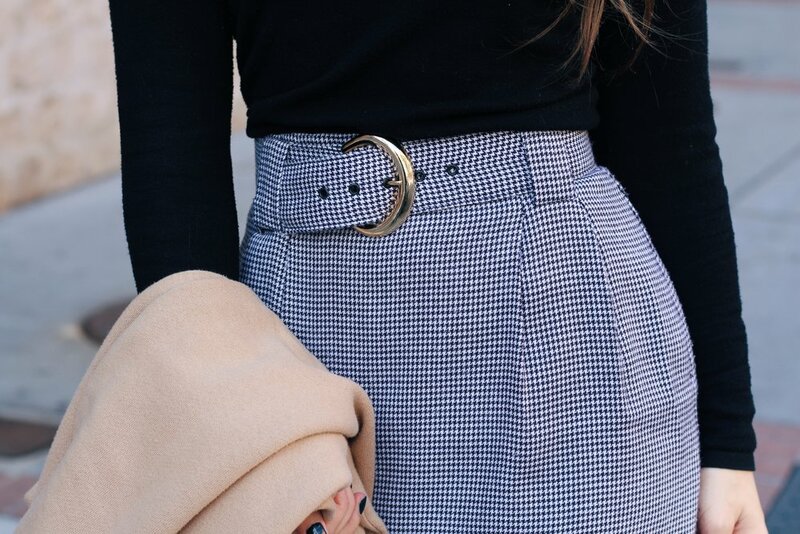 I tucked my trusty black turtleneck (similar here) into the skirt and layered on a camel coat (similar here) to complement the subtle warm undertones of the skirt. As for accessories, I added a coin-style necklace to balance out the hardware on the belt of the skirt. This outfit has both vintage and modern elements, creating a playful yet sophisticated look. If you haven't checked out Reformation Vintage on Melrose yet, I HIGHLY recommend it for finding one-of-a-kind pieces like this one.